Ensure that all source documents are in the same folder than the one where the report will be generated. For example put all documents and report in the directory containing the project file. If not, a standalone report can not be created. A project can be composed of several documents. The EXCEL reports contain links to the source documents. The report and linked document can be send by email and deployed on receiver user's computer. 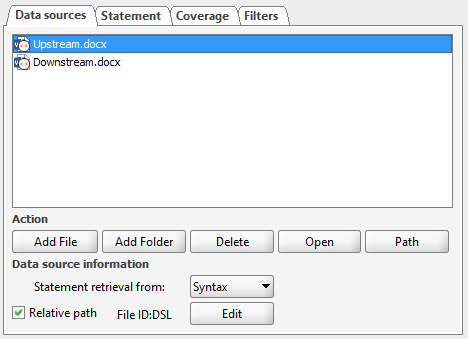 Check that all source documents have the Relative Path check box enabled. Click on Report > Verification Table or Report > Coverage Matrix to generate the EXCEL report. Zip the Excel report and associated source documents together. Send the zip file to the receiver (email, FTP, etc.). Unzip the documents in a single folder. Activate macro when prompted by EXCEL. The macro are required to enable links from EXCEL report to source documents.